To make a very long story very short, I recently had the good fortune of meeting a prominent member of the Bond creative 'family'. This person was overwhelmingly nice, kind enough to give me a bit of their time, and also provided what I'd consider the definitive answer to a question that I know has popped up in the past (and been answered with various different rumour-ings each time). It's a person you all know. I'm going to maintain their anonymity here just because I'm not sure if relaying what they told me could have any repercussions. I sincerely doubt it (we're talking about 'ancient' history at this point) - but the last thing I'd want to do is cause any problems. We were talking about the challenge of casting Bond and I asked them who the true list of contenders were for 007 back in 2005. They confirmed for me that the choice did, in fact, come down to Daniel Craig, Henry Cavill, and Sam Worthington. Craig was Barbara's choice from the beginning and a runaway favourite throughout the testing process - apparently, for everyone who saw the tests, there was never any doubt he was the candidate to beat. Cavill's age at the time was definitely his limiting factor: they loved him, but questioned how believable it was that this iteration of Bond could have already ranked as a Commander in the Royal Navy and graduated to the Secret Service by his mid 20s - they were also extremely keen on delivering the authentic 'Fleming spirit' in Casino Royale and Bond's slightly weathered character, even in that first book, is a key part of the equation. Worthington's test was apparently quite impressive (obviously, no one who made it to the final three wasn't), but there was an edge to his look and (specifically) his voice that made his interpretation seem even rougher around the edges than what we'd eventually see in Craig's portrayal. So, there you have it. The next time someone suggests to you Clive Owen made the shortlist, you can tell them otherwise. Very interesting, MattofSteel. Thanks for posting! Well, of course not ! Clive Owen isn't short. Campbell asked Owen early on and got a 'no' - that was common knowledge. You mean Clive Warren, of course. Probably Clive Bixby as well, anybody with a full head of black hair, whether a faux personality or not. Highly interesting that Sam Worthington was a strong contender. In a way, he has the same "bad boy in the press, does not care about how he comes across"-thing as Craig going. He might be considered looking more conventionally handsome. Considering EON´s penchant to return to people who have already tested for the role - could they go back to Worthington? Or is he too involved with "AVATAR" and its sequels now? Just like Henry Cavill is too much Superman? Avatar has the beneift of not being overly reliant on it's cast (or script...) so much as it's visuals so I expect he'd be less of an issue than Cavill as Superman in that regard, but Avatar's 300 or so announced sequals might prove a problem if he was considered. I recall that there was a circle of people on this forum at the time who actually somehow got to see the screentests; I didn't really doubt it was down to those three as they confirmed that back then. Funny you should mention all that. I specifically asked about the possibility of them going back to Cavill now. The person told me that his visibility as Superman all but rules him out going forward. The team just isn't likely to be comfortable with an actor as Bond who would so prominently be a leading figure in another blockbuster franchise. Makes complete sense. I also got the strong impression Worthington isn't a return option. Frankly, he's aged out at this point - I imagine Pierce will go down as the last post-40 Bond ever cast, unless the films veer into one-off territory with marquee directors and actors. But more specifically, I was assured that while his tests were impressive - it just wasn't the right fit for Bond. Seems highly, highly unlikely that they'd revisit him as an option now. I'd love for them to reappear and weigh in. I'd also love to see those screentests. EON's in possession of such a potential fan goldmine: the 'Unseen Bond', no doubt a 40K or super-HD re-release special feature, a few decades from now. You did not by any chance ask about Tom Hiddleston...? I'd also love to see those screentests. EON's in possession of such a potential fan goldmine: the 'Unseen Bond', no doubt a 40K or super-HD re-release special feature, a few decades from now. If Eon want us to wait 'a few decades', then as politically incorrect as it may be all i can say is i hope the hackers get their a lot sooner. Note: I do usually make a point of staying away from hacked material, but 'a few decades' would be taking the [email protected]@! I suppose such material will become an incentive as soon as the respective candidates are out of the race for good. 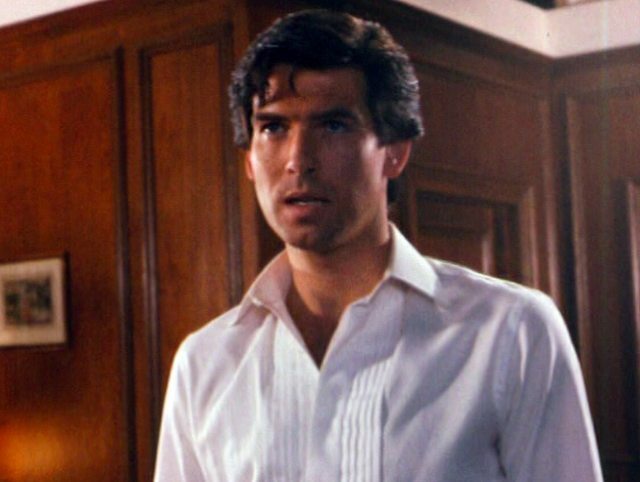 Once Bond No 7 hits the Bluray shelves the screen tests of the generation No 6 should probably become available - provided the rights to use them are with Eon. I also got the strong impression Worthington isn't a return option. Frankly, he's aged out at this point - I imagine Pierce will go down as the last post-40 Bond ever cast, unless the films veer into one-off territory with marquee directors and actors. He is 42 in 2018 and certainly not aged out. That's pretty much the standard for any actor that just takes over the part. I would think once it's down to three Eon certainly have their favourite. But that they also are prepared to go with the second or third even if needs must. Campbell - from what we heard - always had his own preferences. But as a professional he was able to adapt. 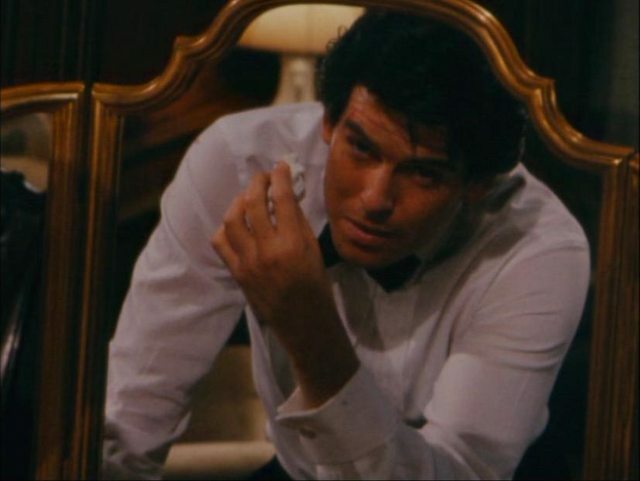 If it had been just down to him I don't think CR would have been vastly different, just with a different actor as 007. Chances are some scenes would have had a different impact then. Edited by MISALA1994, 30 October 2016 - 04:05 PM. If Campbell had gotten to go with Cavill, I'd have still had all my issues with the plot revolving around killing 'pros' to get their cellphone data (info that SHOULD be only in their heads), but the whole 'rookie double0 would have worked fine for me with Cavill. Then again, I don't know how much of that was during the rewrite phase or in place right out of the gate - hard to say out loud, but I wonder if CR was better before the rewrite? Even his impetuous brat nature in CR (like the knife thing with Leiter and among others) would have worked with Cavill, whereas Craig looks two decades too old for that right out of the gate (and that's apart from the whole appearance issue that ruined it for me) and therefore wasn't ever credible. I think the scene that really sold Craig for me was the cleaning up in the bathroom with the whiskey. That was splendid with his nerves all over the place. I have trouble imagining Cavill in this. The knife thing I actually found very Bond, not overly clever, acting and caring about consequences later. But it might have worked better with a younger actor. The thing is, this whole concern about a young guy being credible as a Commander could have been easily avoided: just don't mention the 'Commander Bond' until it fits the face. Eon really wanted to eat their cake and yet still have it, reboot without going all-in. The film itself would work just as well without any of the 'rookie' elements. And the book was a story about a seasoned and mature agent from the go anyway. If they had just dropped the Bond-begins angle it would maybe have improved on the whole product. I have always felt that the best thing with the Bond-begins angle is the cool tagline we got in one tv-spot: "Discover how James... became Bond." But I am glad they did not spend so much time on it in the actual movie. Broccoli/EON are right that Bond is best as a seasoned agent. This character has to be slightly older than your average action hero out there. I do not think a 22 year old Cavill playing the part would have worked out well for CR. With Craig people were able to watch CR, appreciate it as - supposedly - a very early mission in 007's career, or ignore that angle mostly. Which is what Eon wanted, I would think. With Cavill every frame would have told this is a young agent still a decade away from the one we've seen before, even if they had dropped all references to Bond getting his 00-prefix. I'm highly sceptical whether this would have sat well with the audience. I don't know; I think you'd definitely have to secure the actors' permission. It can't be nice to be seen failing to get a role, or even if you're Craig, do you want your first attempt out there? Brosnan's Daylights screentest only ever appears as photos rather than footage. Sometimes they don't mind, but it seems reasonable if they do. Cavill is a complete vacuum in Man From UNCLE so I think we definitely dodged a bullet by not having him cast in CR. I think there are no two ways about it that Craig is too old to be playing the character in the CR script, but as he does such a fantastic job of it I don't care at all! "Visnjic had impressed Campbell with a screen-test for Zorro so the director suggested he test as 007". I appreciate that Campbell liked Cavill, but it wouldn't have been his choice any way. And frankly with a casting this important, Campbell, or any other director - a hired hand - would have had no influence at all; studio and EON and that's it. I for one believe Cavill would have been far, far too young. CR isn't young Bond, it's a Bond at the start of his career as an assassin which is a different thing. Frankly I think it's a story (at least the source material) that could be adapted for an older Bond (the much discussed Tarentino/Brozza CR) more convincingly than a 25 year old - I'm unconvinced that Cavill at that age in '06, and more interestingly, at that point in his career and familiarity, could have pulled off a character in his mid-30s at best. I dont think "assassin" is a good way to describe Bond. I mean, how many assassinations did he do in Fleming's novels? 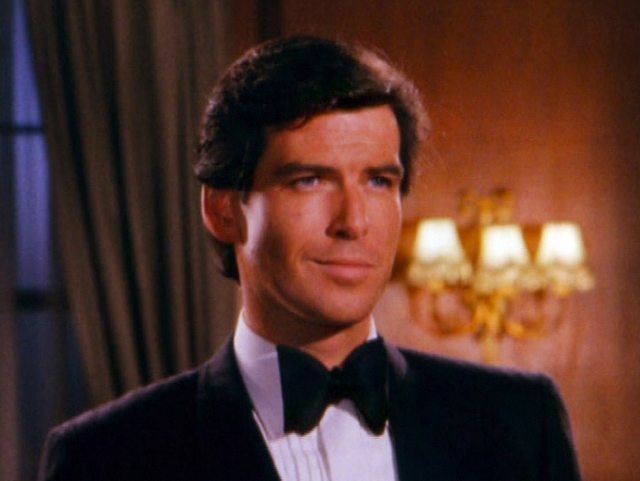 The way I see it, Bond is as an experienced agent in the CR novel. But after this mission he begins to see the big picture, and decides to go after the source (SMERSH, SPECTRE etc.) rather than messing around with hencmen. 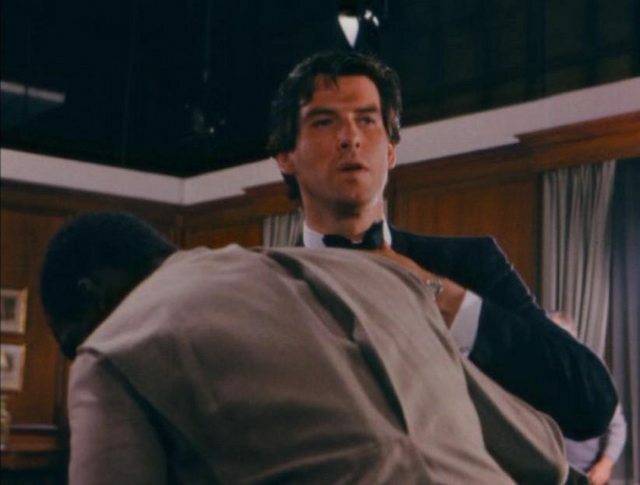 Do you know where I can find photos of Brosnan's 1986 screen test? I was looking online the other night but couldn't find anything. Are they in any of the books? Cubby always screentested actor's, has EON screentested actor's since 2005? Edited by MISALA1994, 01 November 2016 - 02:16 PM.